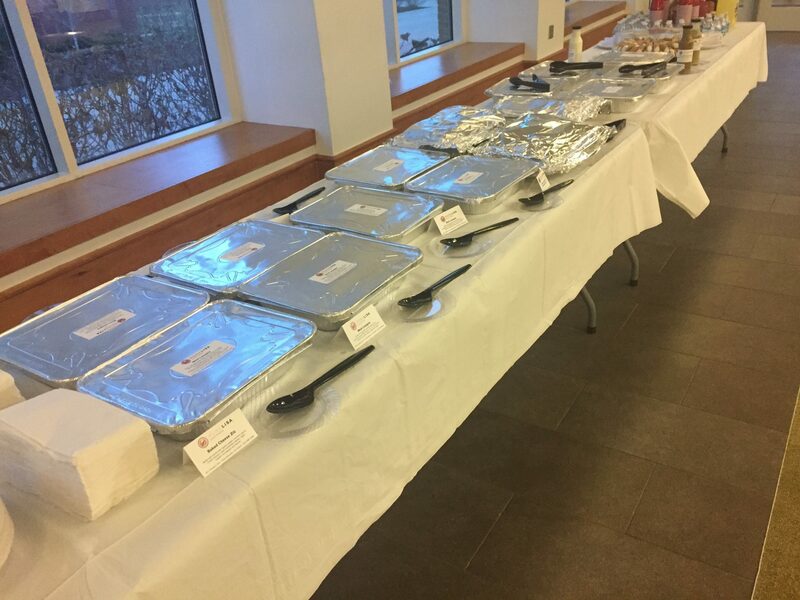 Contact us here or call us at 434-295-2494 with your catering order. 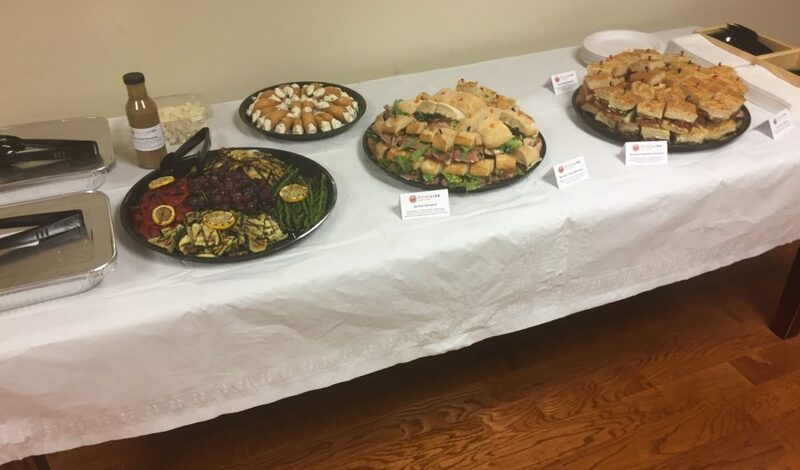 Orders may be picked up for no additional charge at our 921 Preston Avenue location in Charlottesville, or we will deliver to your event with your $100 pre-tax minimum catering order—delivery charges start at $20. 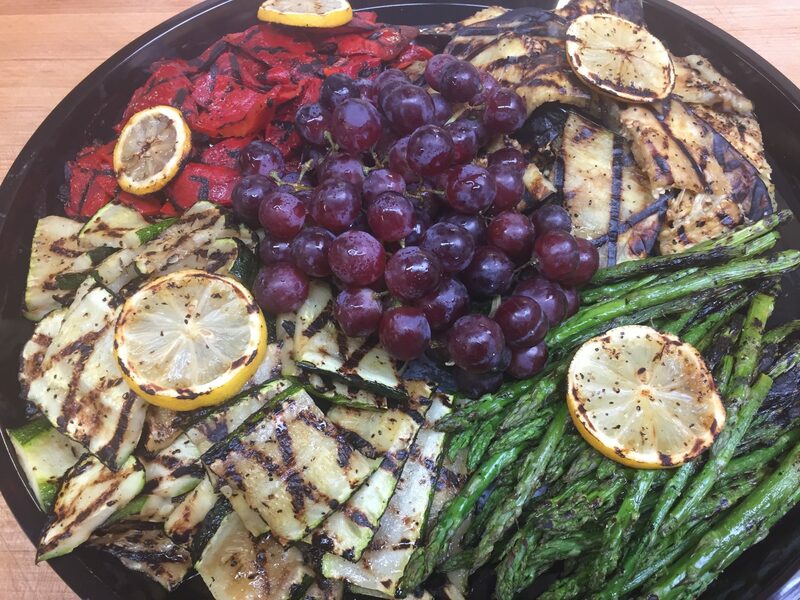 Similar to the Antipasto Platter but this platter has a wider variety of imported and domestic meats and cheeses. 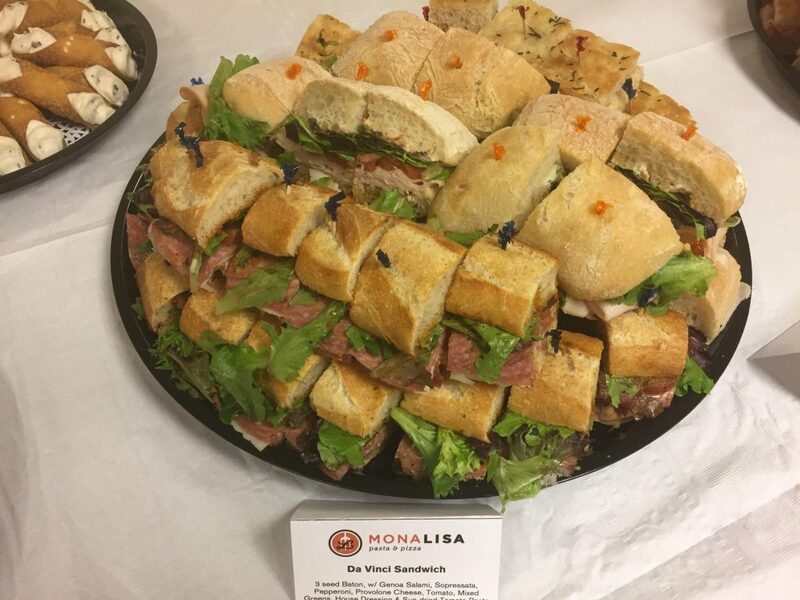 The meats include prosciutto, Genoa salami, capocolo, sopressata, and mortadella. Cheeses may include Asiago, Italian provolone, gorgonzola, wenslydale, and pecorino fiore. 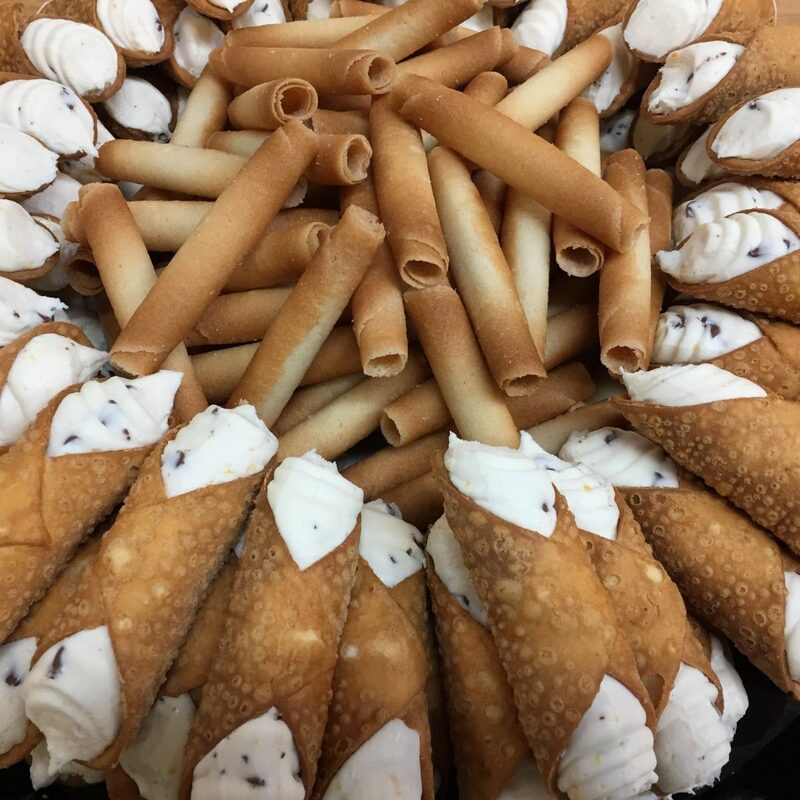 Fresh, handmade pastry shells or puffs filled with artichoke gorgonzola spread, spanikopita, fig and marscapone in filo, and smoked mozzarella and pine nuts in puff pastry. Ravioli choices include cheese, lobster, and crab. Sauces include marinara and vodka cream. Contact us for current availability and pricing. Fresh mozzarella and tomatoes with fresh basil and sun-dried tomato pesto on focaccia. Creste de Gallo pasta, feta cheese, tomatoes, sun-dried tomatoes, basil, caesar dressing, and spices. Ask us about our large selection of local and Italian wines. *Prices do not include state and local sales tax, gratuity, or additional items such as chips, beverages, paper products, and utensils.